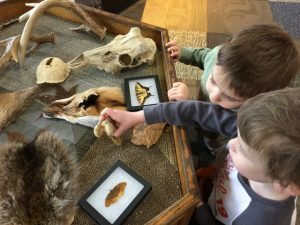 nature center Archives | What Should We Do Today? 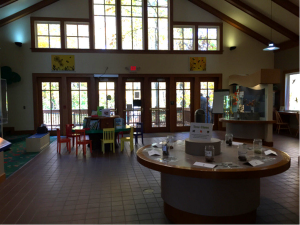 Columbus and Franklin County Metro Park Nature Centers offer great spaces for kids to learn and play! 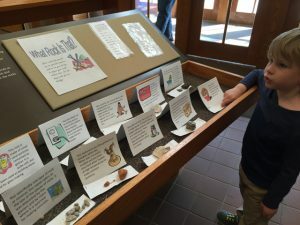 The Metro Parks in Central Ohio are amazing! 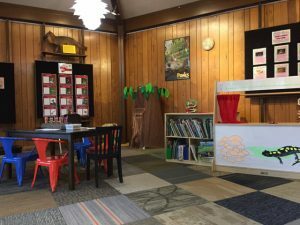 And they have opportunities for families year round! 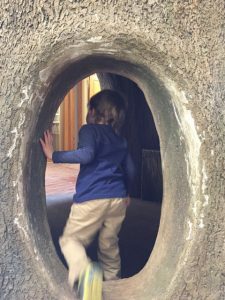 One of the things we love to do is visit the Nature Centers. 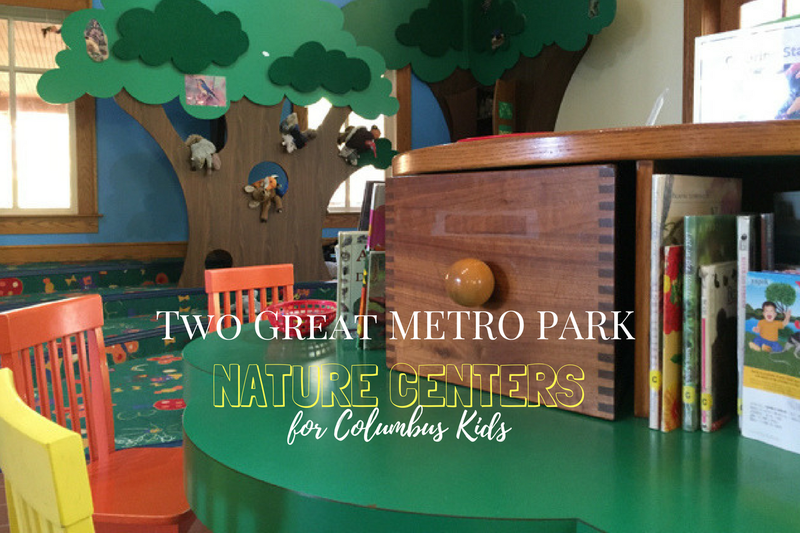 Earlier I shared about Two Great Metro Park Nature Centers for Columbus Kids and this list includes two more! 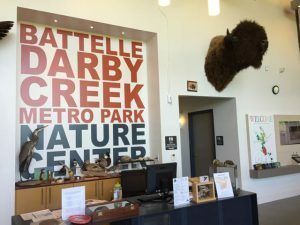 Both of these centers have a huge focus on bird watching, so Spring will be a great time to visit these locations! 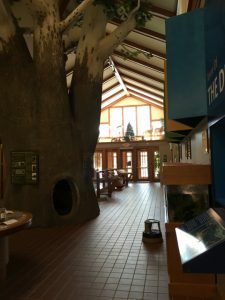 A reader tipped me off to the Nature Center at Blacklick Woods Metro Park in Reynoldsburg! 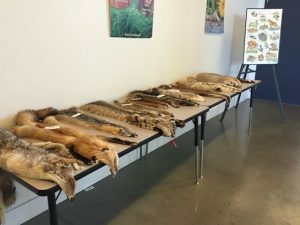 We had a fun morning there a few weeks ago! 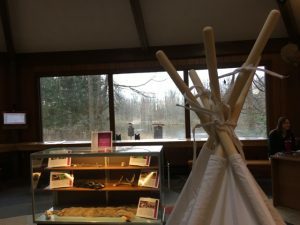 Of course, my kids headed straight for the tee pee upon entering! 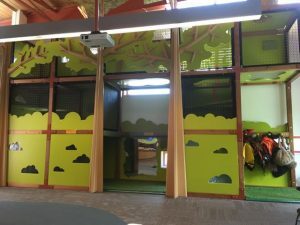 There’s a “tree house,” an area for puppet shows, a kid microscope for viewing insects up close, puzzles, coloring and more! 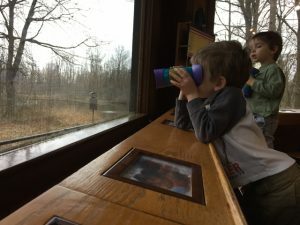 My kids LOVED the kid-friendly binoculars and spent a lot of time watching birds and squirrels at feeders just outside these large windows! 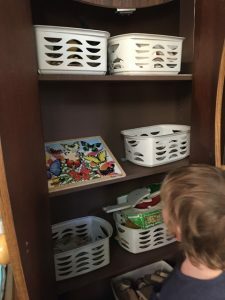 Mayson was obsessed with the “carnivals” (cardinals) and Jaden loved the blue jays (because blue is his favorite color)! 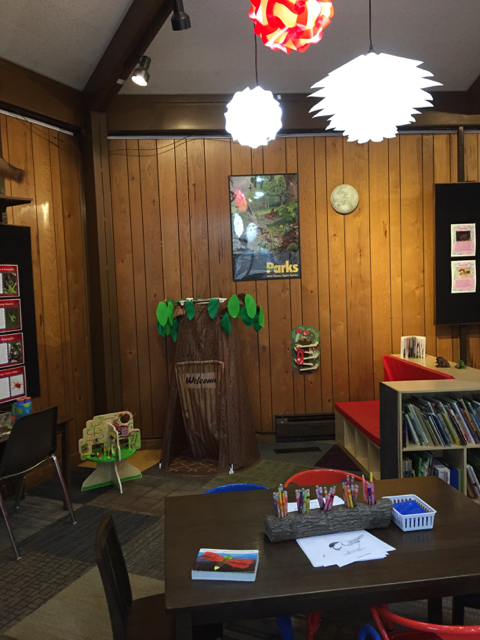 There is an occasional story time at the center, check the upcoming program list here. 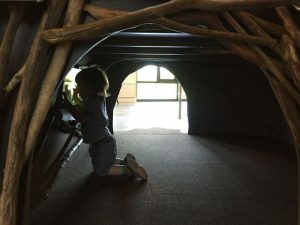 The Grange Insurance Audubon Center within Scioto Audubon Metro Park is an amazing place for kids! 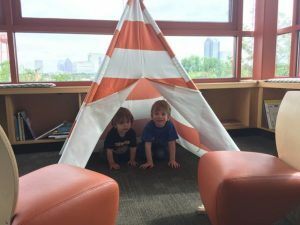 There is a library area where they have story time and this tee pee! 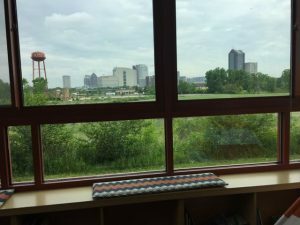 And the views of Columbus are stunning! 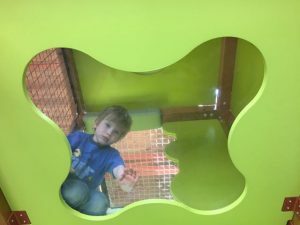 Lots of opportunities for touching here, too! 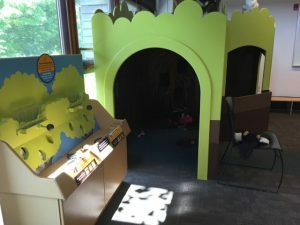 There is a kid’s play area with a “cave” of sorts, puppets and a climbing gym! 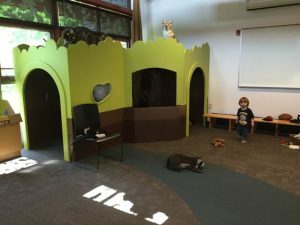 There is a preschool story time on Thursdays and Saturdays at 10:00 AM in the library! 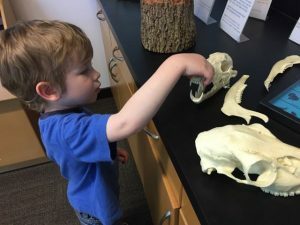 Now that the weather is getting warmer, make sure to check out 9 Things to Do with Your Kids at Scioto Audubon for things to do inside AND out! 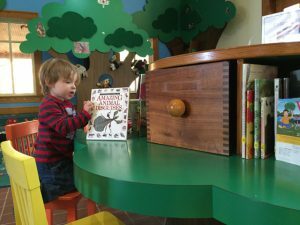 These are two great Nature Centers for kids to explore! What are your favorite?  The Columbus and Franklin County Metro Parks is one of our greatest assets here in Central Ohio! 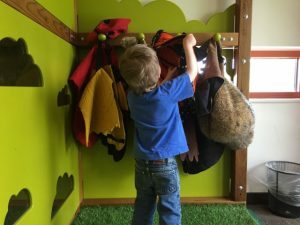 The warm days of exploring the parks and all they have to offer are on their way, but don’t let colder weather keep you away! 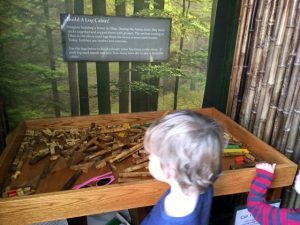 Many of the Metro Parks have Nature Centers that are lots of fun (and educational) for kids! 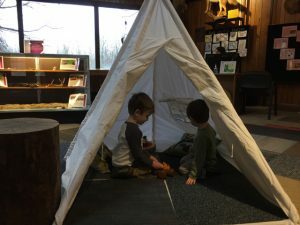 Today I’m sharing 2 great Metro Park Nature Centers that will keep your kids entertained until it’s warm enough to splash in the creeks and spy on the bison! 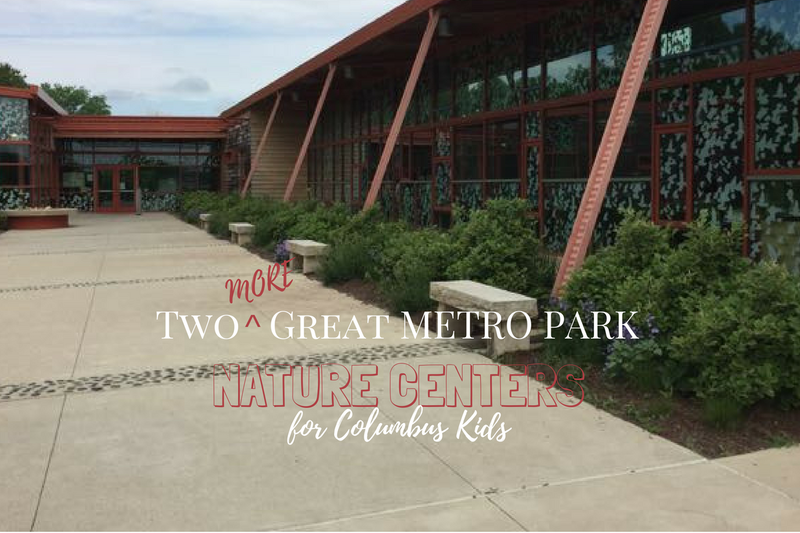 When you’re done with this list, check out 2 MORE Great Metro Park Nature Centers for Columbus Kids! 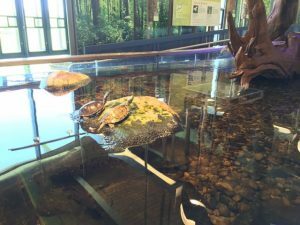 The Living Stream is one of the highlights of the Nature Center at Battelle Darby! 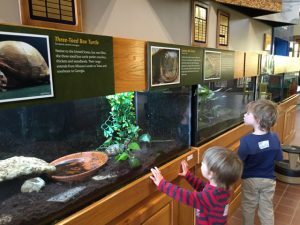 Kids can view live fish and turtles right at eye level. 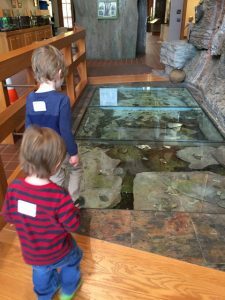 They can even crawl “underneath” the stream to see from the inside! You’re even allowed to touch! 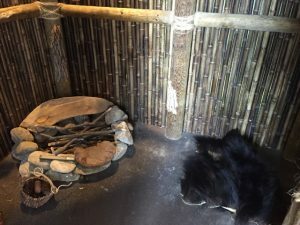 There are mounted animals for viewing and pelts for touching! 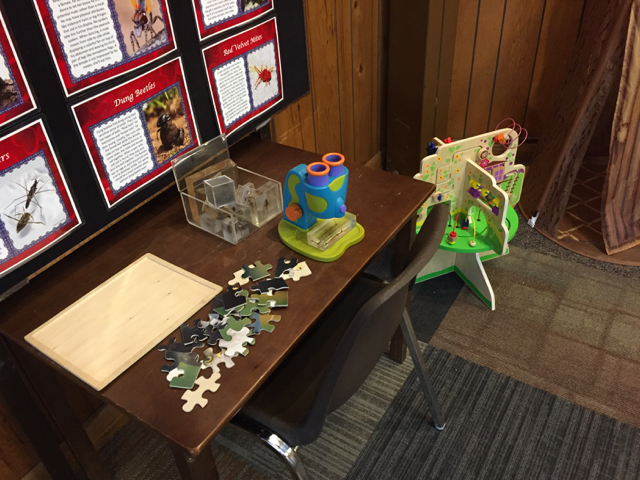 The park offers programs for preschoolers on most Tuesdays! 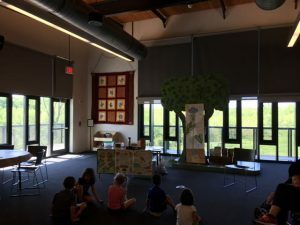 During the summer we attended a program about Seeds and the kids got to plant their own seed to bring home and watch grow! They were thrilled when it actually sprouted! 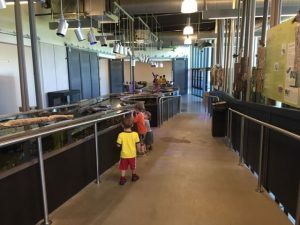 There’s a lot for kids to do at Highbanks Metro Park Nature Center! 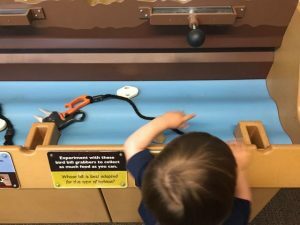 There are a lot of opportunities for hands-on learning and educational play! 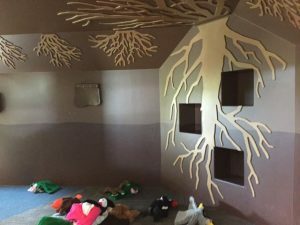 There are books, puzzles, coloring, matching games, puppets, a “tree” to climb in, a hut for pretending in and a glass covered stream for exploring! 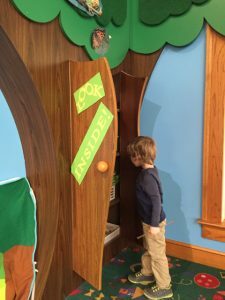 Lots of educational fun behind these doors! 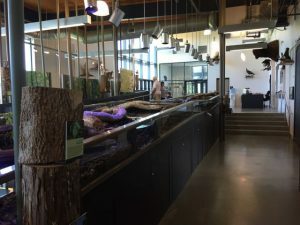 Live animals are on display and you can walk over the indoor stream to see what you can find! 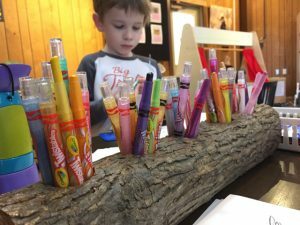 Build your own log cabin! 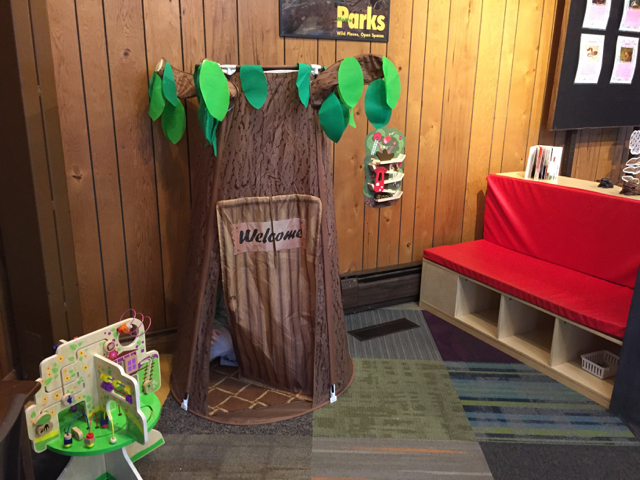 Highbanks has programs for preschoolers, story times and birding activities for kids! 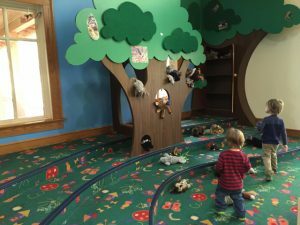 If you’re looking for some new ideas for indoor fun, give one of these options a try! I recommend calling ahead to double check for seasonal hours!